How Can You Contest A Will In Maryland? It sometimes happens that a will doesn’t reflect a loved one’s expectations. If you think that you have been treated unfairly, you may be able to contest a will in Maryland, but you will need the help of an excellent estate planning attorney in Annapolis. Also, you have to understand that not everybody has the right to contest – it all depends on the relationship with the author of the will. And, of course, as any will lawyer in MD will tell you, the state laws allow for certain grounds for contesting a will. There are only two situations that qualify you to challenge a will. 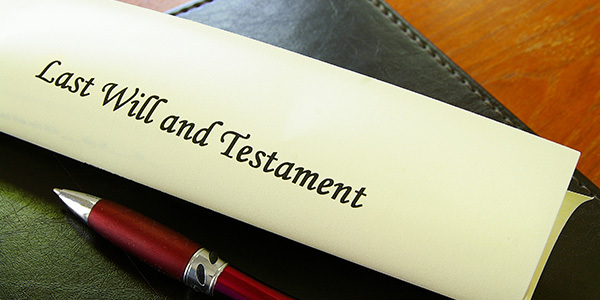 Either the decedent has named you in the will as a beneficiary, or you would have inherited if there was no will. The second situation applies to spouses, children, relatives, parents or even creditors. If you find yourself in one of these two situations, then you are eligible to contest the will, but you also need to have valid grounds for doing so under the laws of Maryland. The will is invalid because it is in conflict with the Maryland law – meaning that it doesn’t fulfil all of the conditions: to be in writing, to be signed by the testator, to be attested and signed by two credible witnesses, to be signed by a testator that is over 18 years and legally competent. The decedent was under influence – meaning that they were coerced to write their will in a certain way. Forgery or fraud – if you believe the will is a forgery or the result of a fraud (for example, somebody tricking the testator to sign it telling them it was something else), then you can contest it in court. If you are a will beneficiary in Annapolis or you would have inherited if the will didn’t exist and believe that there is something wrong with what the will stipulates, then you should immediately call our law firm in Maryland. The statute of limitations is very strict, so you need to act and prevent an injustice before it becomes a reality. Contact the best estate planning attorney in Annapolis at (443) 569-3950 or by email at [email protected]. You will receive a free initial consultation from award-winning attorney Chris Beard so that you can understand more about your particular situation.